Longtime FBF visitors will remember several of my posts about Black Top Records, the wonderful New Orleans-based label of the 80's and 90's that produced album after album of classic Gulf Coast-based blues and R&B, usually from artists who had achieved a measure of success twenty or thirty years earlier and showed that they hadn't lost a thing over the ensuing years with their Black Top recordings. I was fortunate enough to stumble across some of these classic recordings in my early years as a blues fan.....in fact, I posted about some of my favorites a few years ago as part of a two week series on the label. The label folded near the turn of the century, and Emusic took over the Black Top label and catalog from the label's founders, Hammond and Nauman Scott. 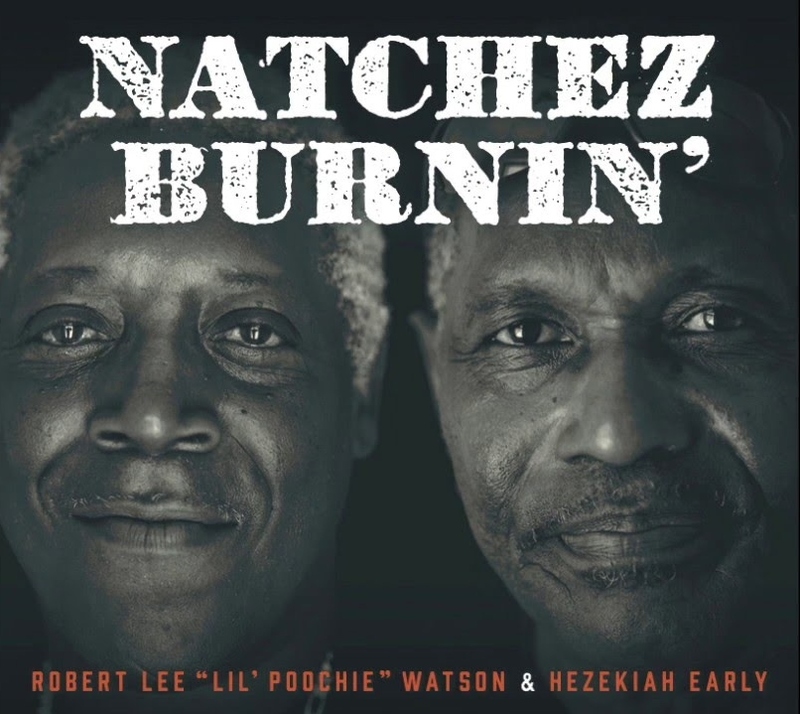 However, there was one album in the can that wasn't included in the deal with Emusic, a recording with New Orleans guitarist Snooks Eaglin that was done in the summer of 2000. 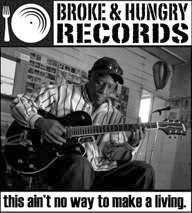 A couple of years later, in January of 2002, Nauman Scott passed away, and his brother decided to manufacture about 1,000 copies of the album to sell at the upcoming New Orleans Jazz & Heritage Festival on a label called Money Pit Records. The album was called The Way It Is, and you can call it the unofficial grand finale of Black Top Records. Born in 1936, Fird "Snooks" Eaglin lost his sight at 19 months after an emergency operation to remove a brain tumor. Apparently, it didn't slow him down too much. His father brought home a guitar when Eaglin was five and he taught himself to play well enough that he won a talent contest at the age of 11. 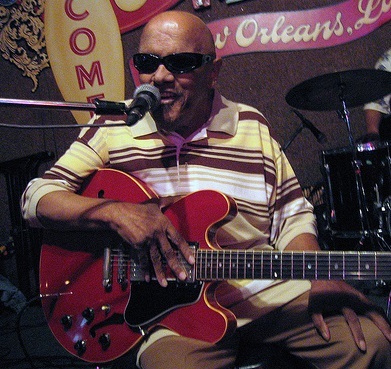 He soon purchased an electric guitar and he was off to the races, soon earning gigs with Sugar Boy Crawford (that's Eaglin playing guitar on Crawford's "Jock-a-Mo"), and later a group called the Hawketts, which featured a piano player named Allen Toussaint. In the late 50's, Eaglin was recorded by a couple of folklorists, Dr. Harry Oster and Richard Allen. These songs were released on several labels and featured him playing blues, pop, rock, and folk music. Although titled New Orleans Street Singer, Eaglin never played on the streets......the album title actually irritated him. In the 60's, Eaglin recorded for Imperial Records and Fun records with limited success. In the 70's, Eaglin met Quint Davis, who founded the New Orleans Jazz & Heritage Festival in the early 70's. Davis is the guy who came up with the brilliant idea of pairing Snooks Eaglin and Professor Longhair, a partnership that resulted in some great Jazz Fest appearances and some wonderful recordings in the 70's. He also recorded an LP for Sam Charters' Legacy of the Blues series, plus a couple of albums with the Mardi Gras Indian group The Wild Magnolias in the early 70's, but soon dropped out of the studio scene after that. In the mid 80's, Eaglin met Hammond Scott and the guitarist became part of the Black Top family, releasing four excellent studio albums and one live effort. All of these albums exposed him to a wider audience, resulting in more gigs at American and European blues festivals for many years. Eaglin was regarded for his huge repertoire.....estimated at about 2,500 songs, he could pretty much play any song after a couple of listens and was called "The Human Jukebox" around New Orleans....., his unique guitar playing....he often sounded like two guitars, playing bass with rhythm and lead......, and his equally unique vocals, which were sometimes compared to Ray Charles (though I never really saw this.....to me, his voice was uniquely his own). He played a wide range of music on his albums and in concerts, ranging from the acoustic and electric blues to rock 'n' roll, jazz, country, and even Latin music. I got to see Eaglin at Jazz Fest in the early 90's.....1994, I think. He was just amazing. I was spellbound by his dexterity. It's one thing to hear it on a recording, but very much another thing to actually see him play in person. I was even more amazed after I found out later that he rarely used a set list and his band sometimes didn't know what was coming. He would just play songs that came to him and often took requests from the crowd. I'm not sure how I found out about The Way It Is. Back in the early 2000's, I was pretty big into eBay.....I picked up a lot of used CDs, many out of print or hard to find at the time. 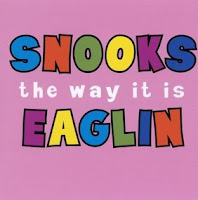 I found the CD on eBay and even though I didn't know anything about it, I knew I was a big fan of Snooks Eaglin, so I snatched it up, unseen and unheard. At the time, one of the eBay sellers that I traded with was Jeff Hannusch, who authored a couple of definitive books on New Orleans Blues & R&B (I Hear You Knockin': The Sound of New Orleans Rhythm & Blues and The Soul of New Orleans: A Legacy of Rhythm & Blues)and has written countless magazine and newspaper articles and album liner notes about New Orleans musicians. He gave me some info on the disc, some of which I've used on this post, so I had an idea of what I was getting before it arrived in the mail. For The Way It Is, Eaglin is joined by Jon Cleary & the Absolute Monster Gentlemen on most of the thirteen tracks. One of the funkiest bands in the Crescent City, Cleary and company provided rock solid backing, giving Eaglin plenty of room to do his thing......and "do his thing" he most definitely does. 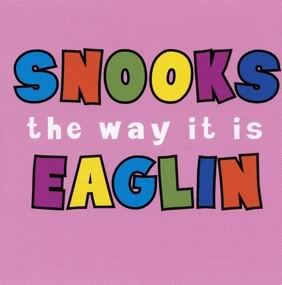 As on all of Snooks Eaglin's albums, there's a diverse set of tunes, some familiar songs, though he really makes them his own with his sparkling guitar work and unique vocal style, and a few interesting originals. The opening track is called "Can You Hear Me," an original which would have been a tight fit on a Meters album. Cleary and the Gentlemen lay down a gritty and greasy funk bottom for Eaglin to strategically place his stinging leads and fills. It was hard for me to get past this one.....I love The Meters' music and this song really nails that sound, plus you get the added bonus of Snooks Eaglin and his guitar. There were a couple more songs in the funk vein on The Way It Is, notably a sizzling cover of the Charles Wright classic, "Express Yourself." Since Eaglin was a New Orleans guitarist, the funk is present on several other songs that touch on the Crescent City R&B style, too. Earl King's "A Mother's Love," and "Lock Doctor," from James Harman, and Guitar Slim's "I Done Got Over It." 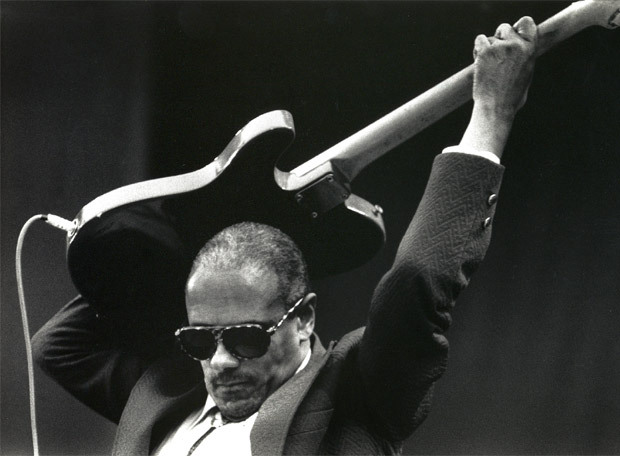 The track from Guitar Slim leans more toward blues than R&B, and Eaglin ably revitalizes some classic blues tunes as well, among them Gatemouth Brown's "Boogie Rambler" (my favorite), "Joe Simon's "The Chokin' Kind," and the Johnny Otis standard "Looking Back." The funk is strong with these tracks as well, courtesy of bass player Erving Charles, Jr. and drummer Raymond Weber, with some nice sax added on "Boogie Rambler" from Tony Dagradi. Other stylistic ventures include jazz ("Trees," "Ghost of a Chance") and Latin ("Cubano Mambo" and the ribald "I Don't Speak Espanol"). On the latter song, Eaglin takes on a hilarious, high-pitched feminine voice for most of the track. The closer is an autobiographical, free form funk workout, I've Been Around The World," where Eaglin lists many of the famous places he's played and most of the famous people he's played with. I say "most" because for some odd reason, he neglects to mention a couple of them.....namely Professor Longhair and bass player George Porter, Jr., who accompanied him on most of his Black Top dates in the 80's and 90's. Still, it's a fun and loose track and a smart way to close the disc. Sadly, The Way It Is proved to be not only Black Top's last hurrah (albeit "indirectly"), but also Eaglin's. He didn't record or release another album between this one and his death in 2009 from a heart attack at age 73. 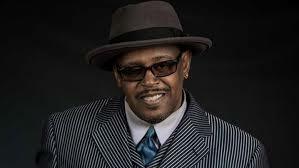 He had been battling prostate cancer the previous year and was planning to make a comeback appearance at the 2009 Jazz Fest. Eaglin rarely played live shows, he was a Seventh Day Adventist, so Saturdays were out, but he regularly played Jazz Fest. I strongly recommend any of Eaglin's albums, even the early acoustic album has some nice moments, but The Way It Is is my favorite......the New Orleans vibe, especially the funk aspect, really comes through on every note played. It's somewhat hard to find, the original pressing especially since there were only 1,000 or so done, but if you do find it, you will be entertained. Snooks Eaglin was a master guitarist and entertainer and that comes through loud and clear on this recording. The May issue of Blues Bytes will soon be upon us, but yours truly continues to plug away at the stack of new music piled high on his desk. Here are a few more new discs from a few artists that you've seen at Friday Blues Fix over the years that you definitely need to track down. Friday Blues Fix sat down with Tim "Too Slim" Langford a couple of years for Ten Questions. A lot has happened since then. Langford was diagnosed with cancer in late 2014 and underwent surgery and treatment. Since then, he's done very well and after a brief hiatus, he jumped back into action via touring and recording his latest album, Blood Moon (Underground Records) with his band, the Taildraggers. 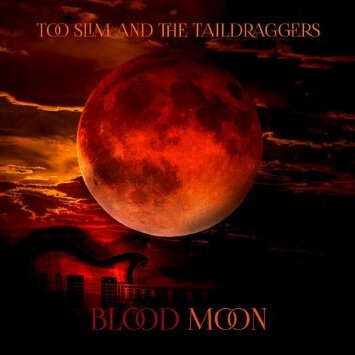 If you're not familiar with Too Slim and you love blues rock played well, you need to give this disc a listen. To these ears, this is his best recording with some of his most inspired playing, singing and songwriting. The songs are a mix of blues, rock (southern, rock 'n' roll, and British Invasion-inspired), country, and even a little bit of jazz and I'm amazed his guitar didn't burst into flames on a couple of these tunes. Two or three of the songs recount his recent health issues, his struggles and refusal to back down, and his recognition of friends and supports who helped him battle back. This is a most excellent release and one that blues rock fans in particular should have in their collection. Jeff Konkel and Roger Stolle's internet blues series Moonshine & Mojo Hands has been the talk of the blues world over the past month, but recently Konkel's Broke & Hungry Records released Natchez Burnin', the first collaboration on album from two of Natchez, MS's finest blues representatives, singer/guitarist Robert Lee "Lil' Poochie" Watson and multi-instrumentalist/singer Hezekiah Early. 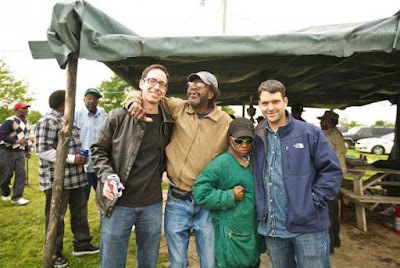 The duo appeared on Konkel and Stolle's 2012 documentary, We Juke Up In Here, which led to this recording, which featured the pair tearing through a set of original tunes and covers from a set of artists ranging from Big Joe Turner to Fats Domino to Louis Jordan to Lightnin' Hopkins and Chuck Willis. Yep, that's a pretty wide range of music, but it's all brought together in a rough and ready down-home electric (and sometimes acoustic) brand of blues. This is a set that all fans of rugged traditional Mississippi blues should add to their collection. Thank goodness that there are still artists out there that play that way. May they never stop doing it. Tweed Funk guitarist J.D. Optekar sat down for Ten Questions a couple of years ago, soon after the release of their 2014 album, First Name Lucky. 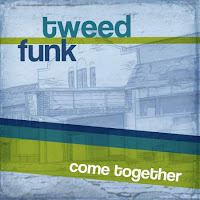 Recently, the band issued their fourth CD, Come Together, on Tweed Tone Records. Growing up, I really dug bands that mixed soul and funk in the 70's. I loved those greasy grooves and tight horn sections. 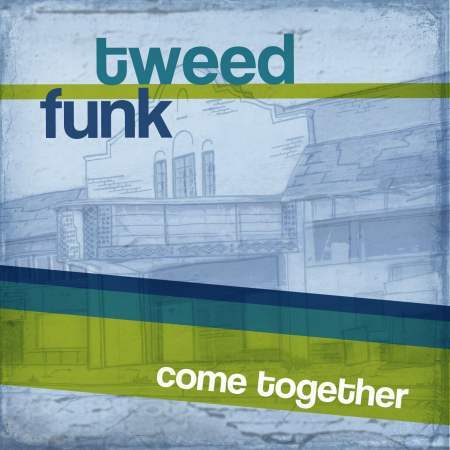 Combine that with a definite knack for playing the blues and throw in a shot of jazz, and you've got Tweed Funk. This disc is their best recording yet. The band is firing on all cylinders and singer Joseph "Smokey" Holman is in the vocal zone himself. 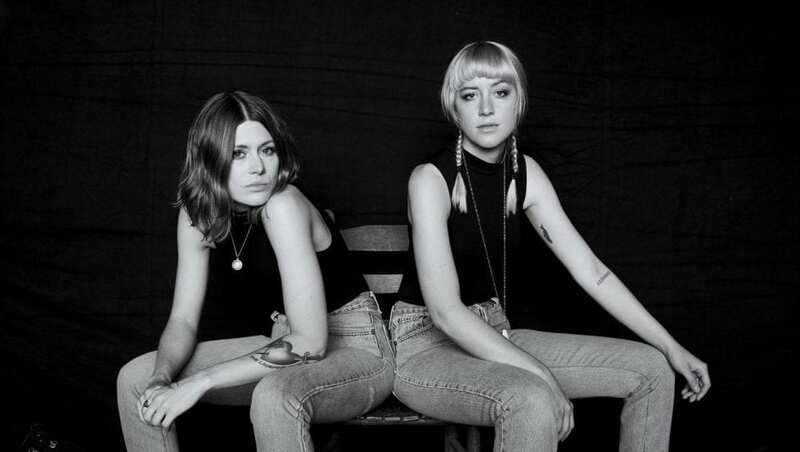 The songs are great and delivered with a boundless exuberance that's contagious. This is a disc that will cross over from the blues aisle into several other genres.....fans of old school soul and funk simply must have this disc, just as much as the folks on the blues side. You can thank me later. While we're on the subject of Tweed Funk, let's give a shout-out to Smokey Holman, who was diagnosed with Multiple Myeloma in late April. He was recently hospitalized but is doing his best to bounce back in time to work with the band to help promote the new album, but he and the band are fully focused on his health and recovery. He will be undergoing surgery later this summer, so please keep Smokey in your thoughts and prayers over the coming months. 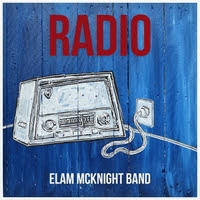 The last album I want to talk about this week is not even available yet.....it's coming in August, but I wanted to give you a heads-up about FBF buddy Elam McKnight's upcoming release, Radio. If you're not familiar with McKnight, who I hope will be a future Ten Questions subject, he's a versatile blues man who is equally comfortable in a number of other genres (we reviewed his last CD, Made to Fall, here). The blues is strong with this release, but there are also hints of soul and roots, rock and pop, country, and Gospel. He's savvy enough to mix all of these genres together in a totally original way. I really dig the direction that he's going with his music.....he's taking the blues in new, exciting, and sometimes unexpected directions, and it sounds so good that you'll wonder why it hasn't been done before. I've enjoyed all of McKnight's releases since his debut, Braid My Hair, but I have to say that this one is his best. Even though the album won't go live until August, you can check out the title track from Radio right here, and pick it up at Amazon, iTunes, Google Play, or CDBaby. Be sure to come back in a couple of weeks for more New Blues For You.....there's still a lot of spring left and lots of great new releases to discuss. Now, let's discuss what else has been happening in FBF's world lately. A couple of weeks ago, I was working on that week's FBF post and my wife was watching TV when she ran across a Dan Rather interview on AXS with Gregg Allman. She let me know and we both tuned in. It's a really good interview if you haven't had a chance to see it......a preview is available on YouTube. Allman was actually playing close by in a few days, so we decided to buy tickets for the family and go check him out. It has been a number of years since we'd seen him (with the Allman Brothers in Tuscaloosa in 1993), so I went online and bought tickets and the next week, we headed west to Jackson, MS's Thalia Mara Hall to see the show. Most folks around here who listen to the blues started out listening to the Allmans, Clapton, and SRV and gravitated to the blues from there, so there was a pretty big crowd in attendance. Anders Osborne was supposed to open for Allman, but was unable to, due to a back injury. 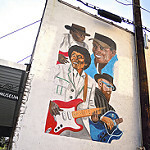 In his place was a blues-rock trio from Baton Rouge called the Blues Revolution, led by a great guitarist and showman named Jonathon Boogie Long. These guys rocked the house for 45 guitar-shredding minutes and I'm pretty sure that even though a lot of the audience didn't know him when he first walked onstage, they definitely wanted to hear more after he departed. Soon afterward, Gregg Allman made his appearance, backed by guitar, bass, drums, percussion, and a three-piece horn section. The sound, as might be expected, was a bit different from the Allman Brothers....he actually revamped a couple of Allman Brothers tunes, adding horns. For the most part, the horns fit in fine and the rest of the band was really good. 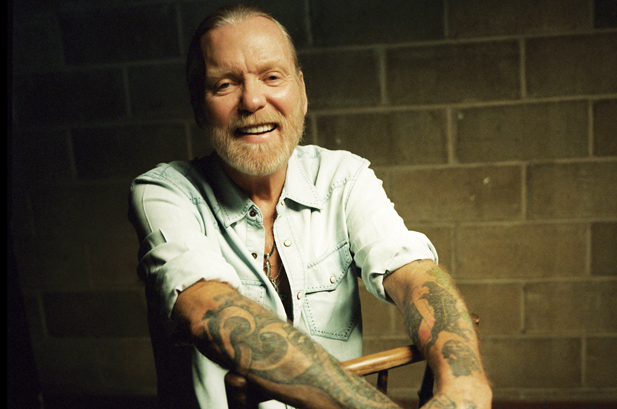 Allman mixed his solo material with several choice Allman Brothers favorites. He sounds as great as ever, with his vocals having a bit of a rougher edge due to wear and tear and age. A lot of his solo tunes, the newer ones, have a more soul/R&B feel, and he also played several old favorites in that style. "One Way Out" worked pretty well, "Whipping Post" was less effective (I love the original version, so it would be hard to top), but still pretty powerful. One of the coolest thing about these shows with artists like Allman is the amount of crowd participation. Several of the songs featured loud audience participation. 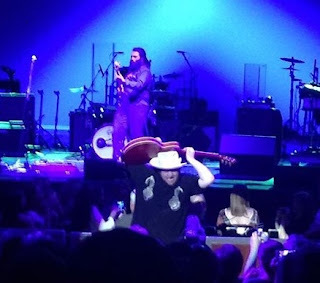 EVERYBODY sang along with "Midnight Rider" and "One Way Out," with Allman's encouragement. They also attempted, with less success, to sing along with "Melissa," but nobody cared if it was good or bad, they were just there to enjoy one of the favorites that they grew up with. As I said above, a lot of folks in the south cut their musical teeth on the Allman Brothers and other southern rock bands. All of these bands were more than happy to pay tribute to their musical influences, the blues being part of that influence. If you get the opportunity, I recommend that you go see Gregg Allman. He's still got tons left on his fastball and a great band in support. I also recommend Jonathon "Boogie" Long and the Blues Revolution. Long is a master showman and a blues-rock star in the making that deserves to be heard. It's been a few weeks since Friday Blues Fix looked at a few new releases, so here's a preview of five of my recent favorites, with more to come in a week or two. As always, more comprehensive reviews of these albums will follow in a few weeks at Blues Bytes, THE online monthly magazine of blues CD reviews. I've got a huge stack to work through over the next few weeks.......maybe months, so when I get a few minutes, I'm trying to listen to a new release and write it up. The process for reviewing a CD, at least for me, is pretty straight-forward. I usually spend a couple of days, maybe three, listening to it.......not a solid three days, but several times a day......at home, at work, in my truck during the day, etc.... By doing this, I sometimes get behind, but by doing it this way, I feel like I'm able to find things that I might have missed with just a couple of listens. 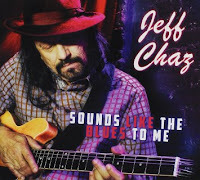 Jeff Chaz - Sounds Like The Blues To Me (JCP Records): This is New Orleans blues man Chaz's first album of new material since 2006's In Exile, and to me, it's his best release yet. Chaz, like many Crescent City residents struggled to recover from the effects of Hurricane Katrina, but based on this release, all of that is behind him. If you're not familiar with Chaz and his music, this is a great place to start. He's a fantastic guitarist, mixing traditional and contemporary styles, and a fine vocalist, who can play it tough or tender with ease. 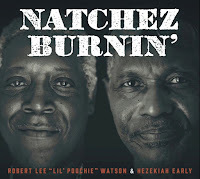 Chaz wrote or co-wrote all twelve tracks on this new release and he touches on a number of styles from New Orleans style blues to T-Bone Walker-esque slow burners to Albert King/Otis Rush-based muscular guitar to the finest urban blues this side of B.B. King. Though he's influenced by all of these guitarists, he manages to blend them into a style all his own. Anyone who digs blues guitar played well really needs to check out this disc, and will probably want to check out Chronicles, a retrospective of his previous albums that was released last year. 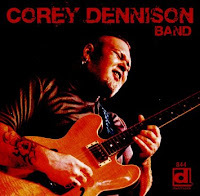 Corey Dennison Band (Delmark Records): Dennison served as rhythm and lead guitarist in Carl Weathersby's band for twelve years before forming his own band in 2013. A Tennessee native, Dennison's Delmark debut is a mix of blues, soul, and southern rock and is simply marvelous, and while he's a very versatile guitarist, he's a powerful vocalist who can easily handle songs in all three styles. His rock solid band includes former Nick Moss sideman Gerry Hundt, who serves as co-writer on several of the originals. The mix of soul and blues is just perfect, which is what makes this disc such a standout.....that and the musical and vocal talents of Dennison. Seek this one out at all costs! 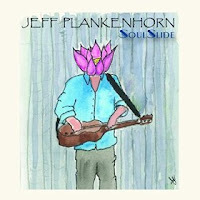 Jeff Plankenhorn - SoulSlide (Loungeside Records): Austin-based guitarist Plankenhorn has played with an impressive list of artists, including Joe Ely, Ruthie Foster, Ray Wylie Hubbard, and Bobby Whitlock. 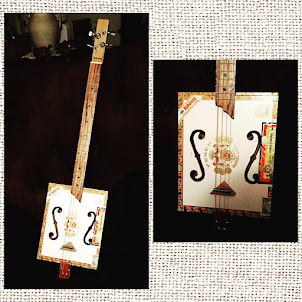 He plays a stand-up lap steel guitar of his own invention, called "The Plank" (Plankenhorn's nickname). Having learned to sing in church as a youngster, Plankenhorn incorporates gospel into his music, which also takes in blues, soul, and rock influences and combines the better parts of Sacred Steel music and Dobro music of the Jerry Douglas variety. Sound good? Well, it is! Plankenhorn's latest features some irresistible original tunes (some co-written with Grammy winner Gary Nicholson) and some dynamic covers. There are also some notable guest stars including Foster and Texas soul belter Malford Milligan. Not that Plankenhorn needs much help.......his guitar work is amazing, as are his vocals. Plankenhorn is a favorite in Austin music circles. Hopefully, this album will expand his base considerably, and deservedly so. Jon Spear Band - Live Music Is Better: Virginia-based singer/guitarist Spear and his talented band released their debut, Old Soul, in 2015, an album which finished in the Top 25 of the Roots Music Report's Top Contemporary Blues Albums. Spear's been around since the early 60's, but recently connected with a phenomenal young talent, singer/guitarist Dara James, who is a blues star in the making......a gifted guitarist, singer, and songwriter whose style works perfectly with Spear's. This set was recorded last November at the Southern Cafe' & Music Hall in Charlottesville, VA and features four songs from their debut album, along with seven well-chosen covers from a wide range of artists......The Meters, Delbert McClinton, Warren Haynes, Michael McDonald, plus a couple of blues standards. Keyboard master Adrian Duke also guests on several tracks, as does sax man Haywood Giles. 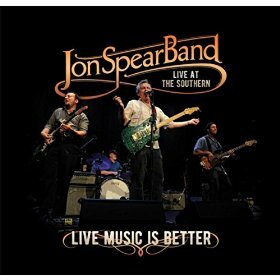 One of several really good live recordings recently issued, Live Music Is Better provides a great look at one of the most underrated bands currently practicing. 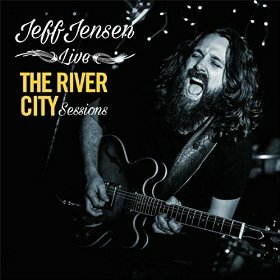 Jeff Jensen - The River City Sessions (Swingsuit Records): We had a nice Ten Question discussion with Mr. Jensen in March of last year. At the time, he had just released Morose Elephant, which was well-received by fans and critics alike, and was one of FBF's favorite 30 discs of 2015. Jensen has a reputation as an energetic and engaging live performer, and this eleven-song set really captures that. Even though you're not seeing the performance, you get a sense of the electricity simply by listening. Featuring eight original tunes from his studio releases and three excellent cover tunes, The River City Sessions was recorded live at Ardent Studios in Memphis before an enthusiastic group. It should encourage new listeners to check out some of Jensen's formidable catalog and provides longtime fans with a live document of his considerable talents. Jensen's one of the best new blues performers out there and this fine release should confirm that for those undecided. That's all for now. Be sure to check back in a couple of weeks for info on more new releases. 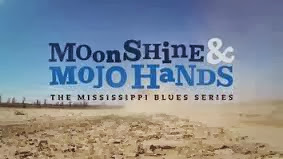 Two weeks ago, Jeff Konkel and Roger Stolle's blues reality series, Moonshine & Mojo Hands debuted online. So far, three episodes have been broadcast and they were all entertaining. The debut episode, Alligator Women & Raccoon Barbecue, was divided into two segments. The first featured an interview with Jimbo Mathis, who talked about his music and influences, and growing up in the south. It was pretty informative because although I've listened to a lot of his music over the years, I really didn't know that much about him, how he came to love the music, and what helped connect him to the music. He's a pretty engaging and enthusiastic interview. 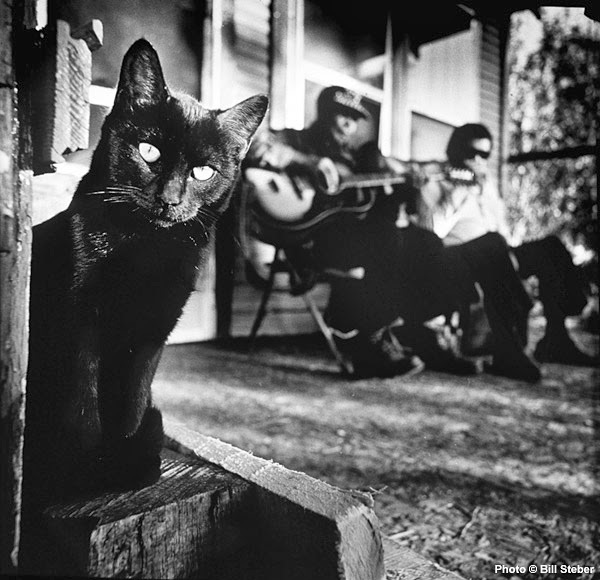 For the second segment, Konkel and Stolle talk to musician Sean "Bad" Apple about the North Mississippi Hill Country Blues and then accompany him to one of R.L. Boyce's house parties in Como, MS. Folks are still talking about the Boyce house party from the M for Mississippi documentary, and this one may be even wilder than that one. This time around, we get to hang out with some of the attendees, check out their very diverse menu, and listen to some good music. The second episode, Paul MacLeod Has Left The Building, had three segments. 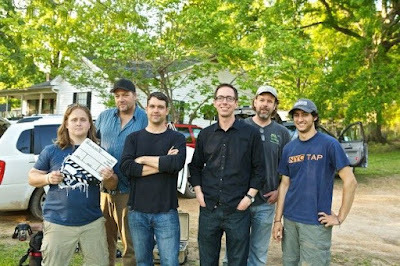 The first was a visit to the now-defunct Graceland Too, where they introduce us to the owner/caretaker, MacLeod. What follows is a weird and wild tour of the premises with the slightly askew caretaker that sometimes leaves ours hosts shaking their heads. 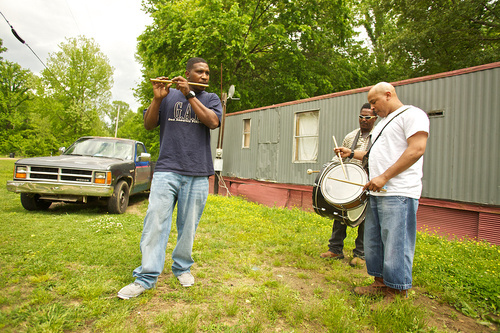 The next two segments focus on the next generation of the Fife and Drum branch of the Hill Country Blues (Otha Turner's grandson, Otha Andre Evans) and one of the Kimbrough family (Junior Kimbrough's son Robert). Both talk about what makes their music so compelling and give us a few samples in the process. Yesterday's third episode, Home Away From Home, found the duo visiting with the late Arthneice "Gas Man" Jones at Cat Head, then heading a few blocks over to tour the Riverside Hotel and discuss it's history with the late owner Frank "Rat" Ratliff, followed by a fascinating visit with Super Chikan in his workshop, where he shows some of his handiwork and plays a few tunes. I'm glad they got to visit with Jones and Ratliff before they passed away (both in 2013), and the Super Chikan segment is proof positive that he's not only a Mississippi treasure, but a national one as well. To me, this was the best episode yet. Konkel and Stolle are great hosts, as those who saw both their documentaries can verify. They introduce the segments and let the subjects take center stage. Blues fans should really appreciate what these guys are doing.....in addition to telling current fans about what's going on with the Mississippi blues scene, they are also making it possible to introduce the blues to a whole bunch of new fans to see what they're missing. I've been telling my friends and co-workers about the shows and several of them have commented about how cool it is. If you haven't seen it yet, you need to head on over to their website and check it out. I promise you'll be checking it every Thursday for the next few weeks. There are ten episodes in the can right now and, hopefully, more to come. 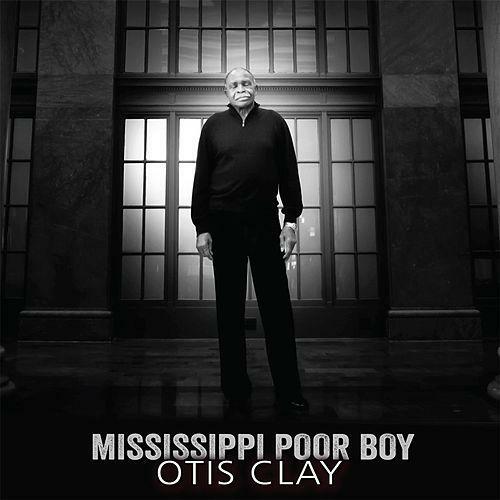 I haven't quite gotten over Otis Clay's sudden passing in January, so it did my heart good to receive a copy of his final recording, the single "Mississippi Poor Boy," in the mail last week for review. 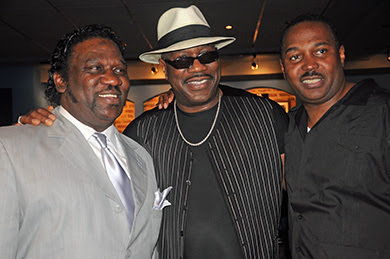 Back in 2014, when Clay and Johnny Rawls were recording their award-winning collaboration, Soul Brothers, for Catfood Records, Clay recorded an a capella version of his favorite gospel song, previously recorded years ago by the Canton Spirituals. The plan was to record the song again later for a proposed Otis Clay solo album that never materialized due to his passing. Recently, Rawls, Catfood Records head man/bassist Bob Trenchard, and guitarist Johnny McGee recovered the vocal track, added guitar, bass, drums, and background vocals (from Rawls and singer Janelle Thompson) and decided to release the song as a single. The final product is a raw, stripped-down, bluesy Gospel track with Clay's intensely soulful vocals front and center and is a masterful performance, which is appropriate. Otis Clay got his start singing Gospel, so it's fitting that his last recording was Gospel as well. I strongly urge you to track down this single, especially if you're a fan of Otis Clay's. Wednesday night (May 4th), the 2016 Blues Hall of Fame welcomed their new inductees. 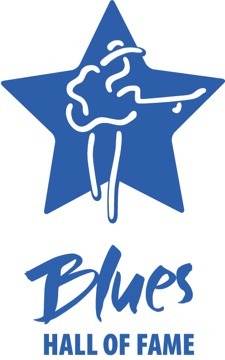 There were five performers inducted, two individuals who played a vital role in creating the blues, five single blues recordings, one blues album, and one piece of blues literature. The performers included Elvin Bishop, Eddy Clearwater, Jimmy Johnson, John Mayall, and the Memphis Jug Band. This year's non-performing inductees were Tommy Couch, Sr. and Wolf Stephenson of Malaco Records. The five blues singles were "Crazy Blues," by Mamie Smith (Okeh Records, 1920), "That's All Right," by Jimmy Rogers (Chess Records, 1950), "I Wish You Would," by Billy Boy Arnold (Vee-Jay Records, 1955), "Merry Christmas Baby," by Johnny Moore's Three Blazers (Exclusive Records, 1947)....the first Christmas song to be inducted, and "Blues Before Sunrise," by Leroy Carr and Scrapper Blackwell (Vocalion Records, 1934). The album inducted was Blues in the Mississippi Night (Nixa Records, 1957, United Artists, 1959), an unforgettable 1948 field recording by folklorist Alan Lomax which featured Big Bill Broonzy, and Sonny Boy Williamson I. 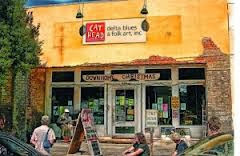 The Blues Literature classic inducted was Jeff Todd Titon's Early Downhome Blues: A Musical and Cultural Analysis (University of Illinois Press, 1994, University of North Carolina Press, 1994). Congratulations to all of this year's inductees. The Winners of the 37th Blues Music Awards were announced last night (May 5th) at the BMA Awards ceremony in Memphis. The categories and nominees are listed below with the winners in bold. Congratulations to all of this year's BMA nominees and winners!